The proverbial folding chair just got alluring thanks to designer Dror Benshetrit. 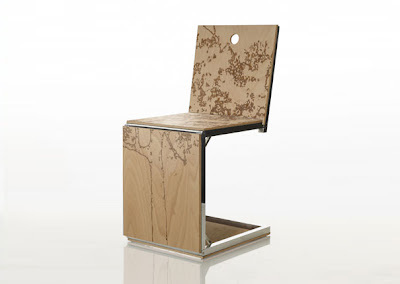 The Pick Chair is a perfect design specimen to represent the natural and unstructured vision of designer Dror Benshetrit. The chair doesn’t conform to any conventional design norms but still has an extremely beguiling quality to it. So how does the Pick transforms from 2D to 3D or into an object that is both metaphorical and literal? Well read on. 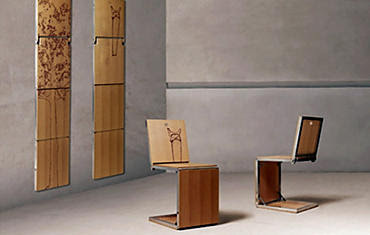 The chromed aluminum frame consists of flat wood veneer panels that are fixed on the top of the hinged metal structure. If the need of the hour is furniture then just fold the hinges to create a perfectly normal seating solution. However when aesthetics come to play then the Pick can be flattened to adorn any wall and moonlight as “a work or art”. Innovation at its best, don’t you agree?